Maligiaq Padilla originates from Sisimiut, Greenland. His grandfather spent his days hunting seals, whales, birds and other animals from a kayak (qajaq in Greenlandic), and it was from him that Maligiaq was taught the hunting traditions of his ancestors. 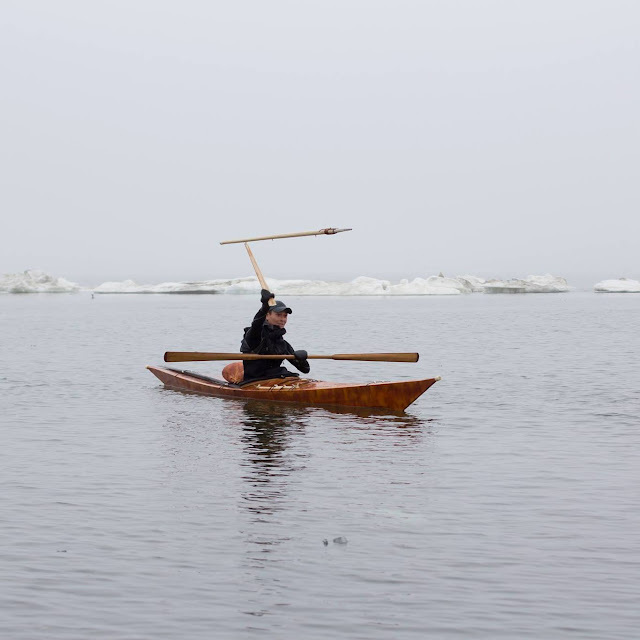 At the age of 12, Maligiaq built his first kayak and learned to hunt from it using a harpoon and a rifle. He has since built over 300 kayaks. These kayaks have been displayed in the Sisimiut Museum of Greenland, the Inuit Gallery of Vancouver and the Smithsonian Museum. Maligiaq is world renowned for his strokes, rolling, kayak building and rope gymnastics skills. He has appeared in many films, including Rolling With Maligiaq, Allunaariaqattaarneq and This is the Sea. Maligiaq first competed in the annual Greenland National Kayaking Championship when he was 12. He won every event in his age group, and at 16 became the youngest National Championship winner in history. He has now won a total of nine Championships. Maligiaq will be teaching a qajaq building class through Mind’s Eye Manufactory leading up to Storm Gathering USA 2017. Click HERE for more information. We’d like to thank Mind’s Eye Manufactory for supporting the event by bringing in such a wonderful keynote speaker and mentor. Who's Teaching You? Kelly Marie Henry. Welcome Onboard Fellow Storm Paddlers From Wales!